This checkin to OK045B Broad Street Webcam (Oxford Martin School) reflects an opencache.uk log entry. 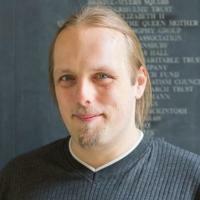 See more of Dan's cache logs. I can’t log a “find” here because I set up the cache, but I wanted to show willing! So here I am, standing in the beginnings of what looks to be a serious rainstorm, capturing a screenshot with my phone. Gulp; should’a brought my coat! 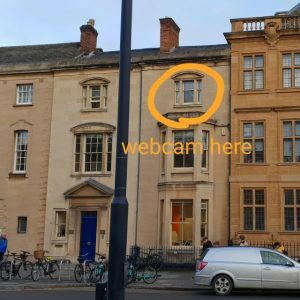 The Oxford Internet Institute webcams are currently offline for an upgrade, so this webcam cache currently can’t be logged. Hopefully they’ll be back up and running soon, but if they’re being replaced with new ones then there’s a possibility that the viewing angle, position/facing or other characteristics might change: cachers take care! 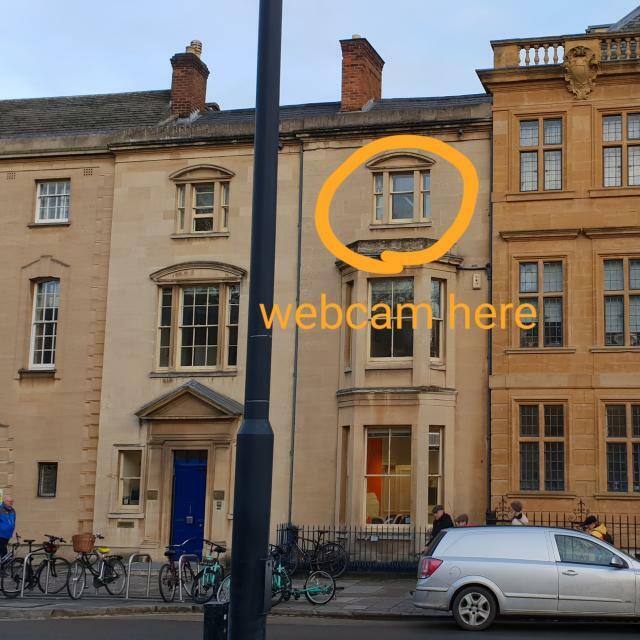 Edit (2018-06-08): I’ve just spoken to the Oxford Internet Institute and they don’t know exactly when their webcams are coming back because they’re dependent upon the completion of some redecoration in the office from which they were based. Troma Night last night was a success, as was the Troma Night WebCam (Alpha Test), through which Paul could participate, despite his unfortunate absence. We watched three Studio Ghibli flicks – Spirited Away (hadn’t seen this before: really quite impressive, but not quite a Totoro-beater), Tonari no Totoro itself, and Princess Mononoke. Everybody and his dog brought beer, so we all got pleasantly sloshed; the pizza was great, we still have mountains of Pringles (mmm… revision food), and altogether the night was just fab.